Totally renovated home in Brookside Park. This beautifully appointed home has been completely renovated both inside and out. You will instantly notice the beautifully landscaped yard new siding and double lot that sets this home apart from the rest. As you enter the home you will notice all the upgrades and true craftsmanship. No expense was spared in quality materials used. Entering the home reveals tile floors that flow through the spacious living, and dining area. The new kitchen has all the amenities the chef of the family will love, from the new counter tops, beautiful cherry cabinets, and tile floor the list of upgrades in this home goes on and on. The spacious living room has a wood burning fireplace perfect to cozy up to on those cold nights. Relax & enjoy your afternoons in the backyard retreat that has everything, including a shed , shade trees and private semi fenced in back yard ,perfect for person who like to entertain and likes their privacy. Enjoy the spacious two car carport perfect for those cold and rainy days. 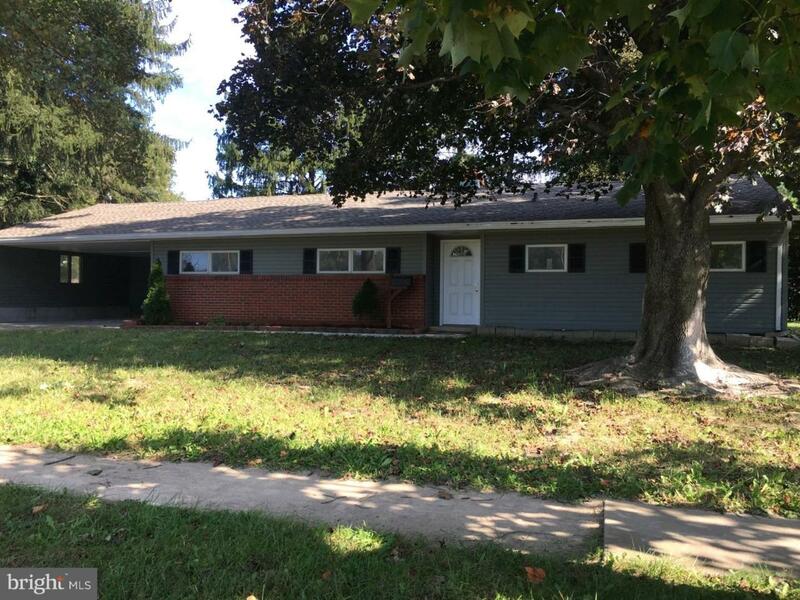 This home has three wonderfully sized bedrooms and two full baths with newer carpet and the Master bedroom has its own full bath. No expense was spared in the renovations within this home. From the brand new high efficiency Heat pump, upgraded kitchen, renovated bathrooms, newer windows, new roof, the list of upgrades is extensive. Do not miss this wonderful opportunity to own a truly one of a kind home close to the University of Delaware. Listing courtesy of Tom Livizos Real Estate Company.